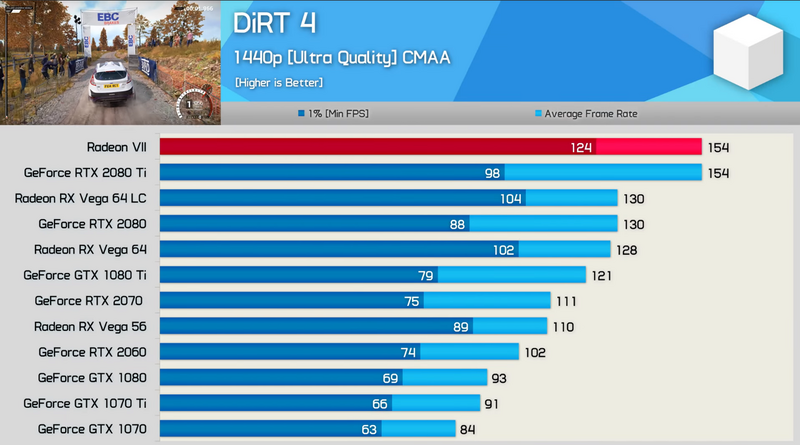 There will always be the occasional game or two where one sides GPUs performs way better than the competition. So how Radeon 7 runs head to head with 2080Ti? Cherry-picking a bit, it loses to the 2080ti at 1440p and 4k. Still a great performer in this peach of a game. This in VR, I don't think I'm ready but I'll buy it nevertheless! Stomach be strong. Game is heavy enough not to have high fps even on 1080p. That makes it easier on any driver overhead. Racing games usually do not have very complex (high polygon) geometry, therefore AMD's weaker geometry discard is being much smaller problem. And then that low fps comes from complex shader code => brute force wins. AMD had always brute force strength. Wow pretty heavy game, even at 1080p.. 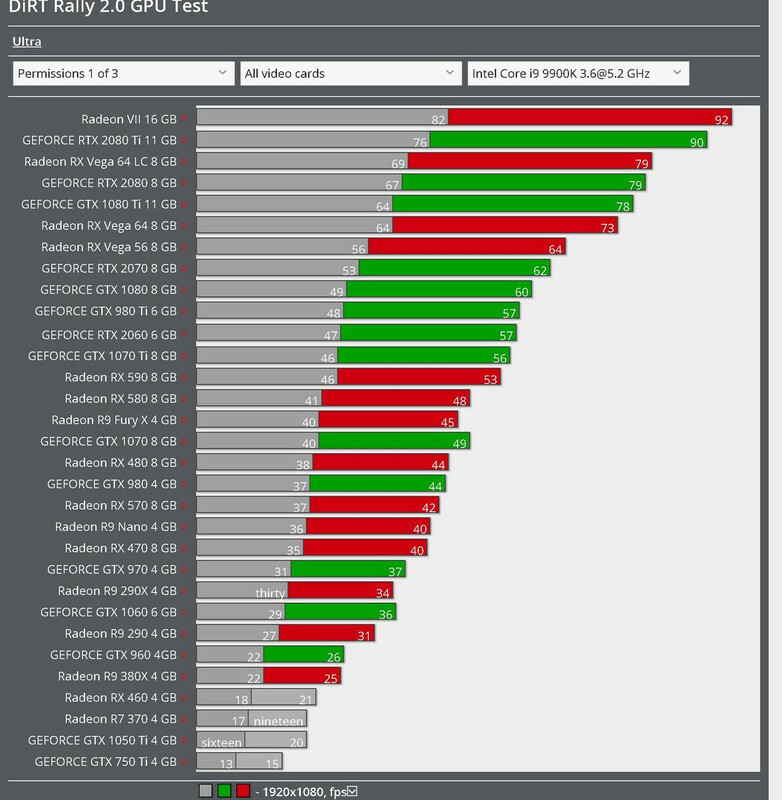 If the AMD hardware was properly leveraged by the developers, we would have better results. The only problem is consume a lot power. Are the DIRT games still good? I think I played the first or second one and remember it being pretty fun but I haven't played one since. Is it the same thing just better graphics? 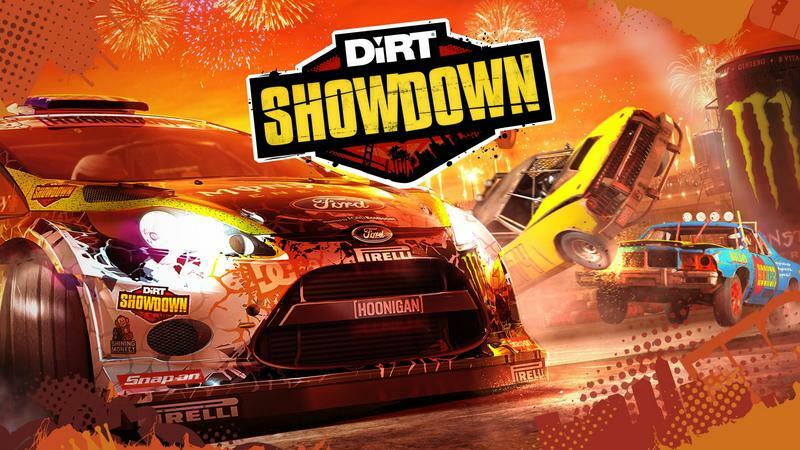 Need to make distinction between Dirt Rally and Dirt games. Dirt Rally games can be too difficult/punishing to be fun (for me at least). The other Dirt games are great. Completely different games. Dirt series are arcade rally racers. DiRT Rally and DiRT Rally 2.0 are sims. I liked this one but seems others didnt. It was a different Dirt game. This is only significant because previously DXR was disabled in the drivers, even when using the fallback layer. This is using the updated fallback layer (1.5) which didn't work previously on AMD cards. This doesn't mean that it will work in games, just that we're back to square one with fallback support. I don't have a Vega 64 or P10 card to test on with yet, but will update if I stumble across one. What about Dirt Rally 2.0 now after game ready drive released? After reading on reddit, looks like real vBios update that solves the Fan curve and makes it less turbojet and some say they could run at lower voltages then before and it's more stable, Maybe in next driver update we could have small Update Review with the new vBios with just Thermals/Noise/OCing/1~2 games to test? There's a German you tube vid out with a pair of VII in crossfire as well.